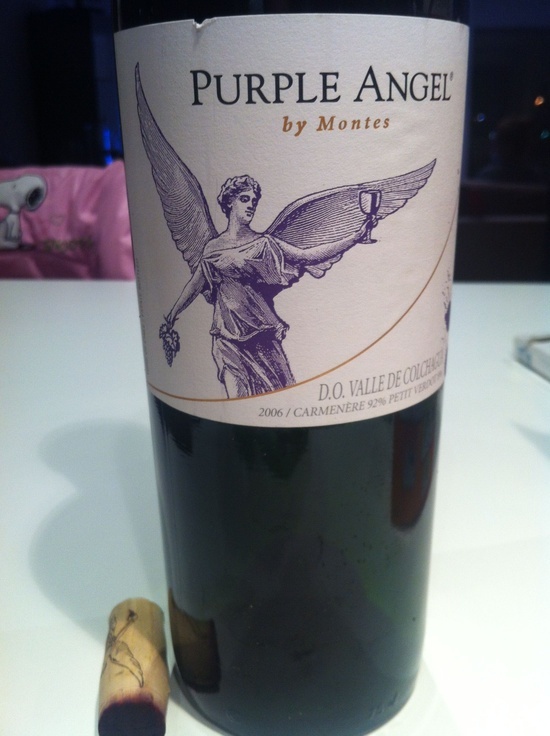 This is one of the flagsh ips of Montes winery in Chile, introducing the indigenous Carmenere (another 8% of Petit Verdot is added to the blend), the long-lost grape variety that recently resurfaced in Chile after being presumed extinct in Bordeaux, its original home. In Chile, they consider it their ‘signature’ variety and call it the ‘Jurassic Park’ grape that returned from the past. Grapes are located into two different vineyards in Colchagua valley, Apalta and Marchigue, and are hand picked. Aging of 18 months in new French oak barrels, result in a production of 66.000 bottles. It is bottled unfiltered, so it was necessary to decant (two hours in our case). Dark solid purple color. Amazing nose, intense and fully concentrated, with black cherries, berries, coffee, and only traces of oak & cigar box. On the palette, it is full bodied with adequate acidity and many excellently integrated silky tannins. Constant long lasting aftertaste. Already enjoyable, will improve the following decade. A wine worth every last euro of its price.